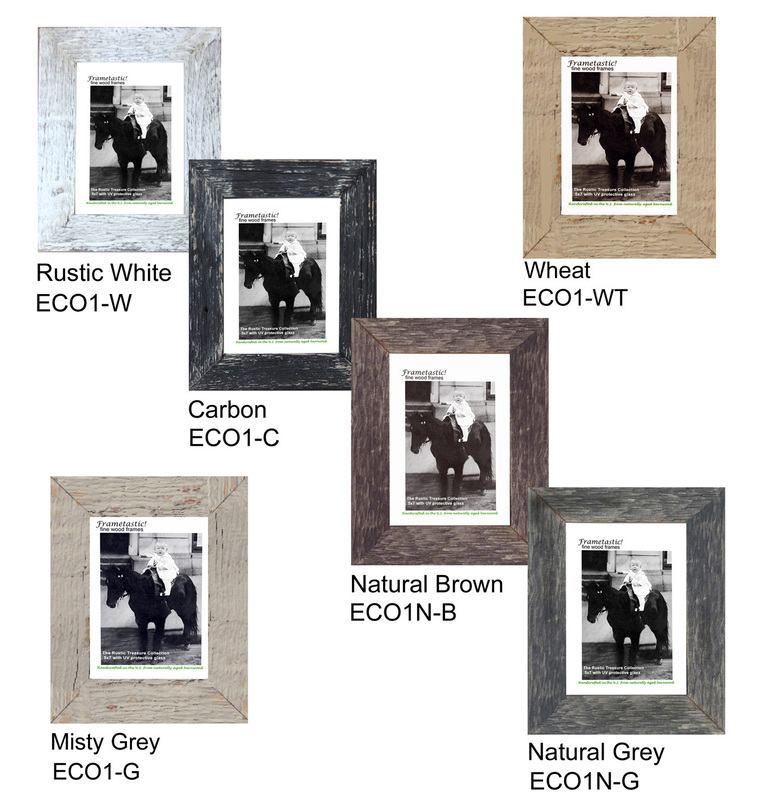 From our Rustic Treasure Collection… These photo frames are handcrafted from 1 1/2″ reclaimed barnwood. Each frame comes with UV protective glass, leatherette easel back, tissue wrapping, and gift box. 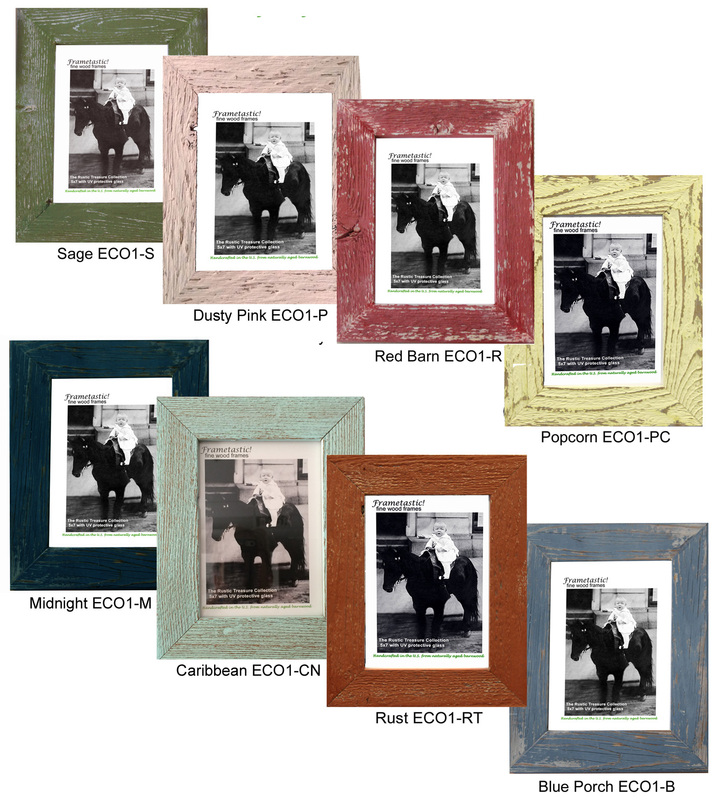 Available in 4×6, 5×7, and 8×10 formats in two natural and 13 painted colors.